← (Shadow) Shield Your Eyes! Jericho Premium Lifting Serum is just that, premium. It is the best anti-aging skincare I have found in a long time – and I am ALWAYS on the search! Allow me to share all the benefits of this wonder serum with lots of lift. Let’s not worry about the ingredients in this powerful product. Although, it is made with Dead Sea minerals, which are among the best for the skin. Let’s throw out the fact that it will make your skin feel silky, enrich it with much needed nutrients. And even transform the texture of your skin. What makes this anti-aging beauty extra special is it has the ‘Cinderella Effect’. Do you know what that is? I had to look it up – it’s a term I have never been introduced to. Unfortunate for me, to say the least. Just a little dab gives me lots of lift! Be ready to be instantly impressed. Key word right there – instant. The Cinderella Effect means the results are immediate. Unlike other anti-aging skincare products you use for months and months to notice a difference in your complexion, Jericho Premium Lifting Serum works on the spot. I use it under my eyes and below my brows because it banishes sagging and helps to de-puff. I also work a little into my cheekbones. It gives such oomph to my face. It blends in easily. It’s velvety, making the skin soft, just begging to be made up. Photo finish ready – in an instant – that’s what it does for me! I use it in the morning and before bed, because I want to be uplifted 24/7. It also helps smooth wrinkles around the mouth and evens me out – bonus! And a little goes a long way… Use it as part of your daily regimen, like I do, or for those days or nights when you want a beautiful boost. The entire Jericho line, all made with Dead Sea mineral-rich ingredients, makes my skin feel alive! Give your skin a gift, a lift – you will instantly notice and immediately love. 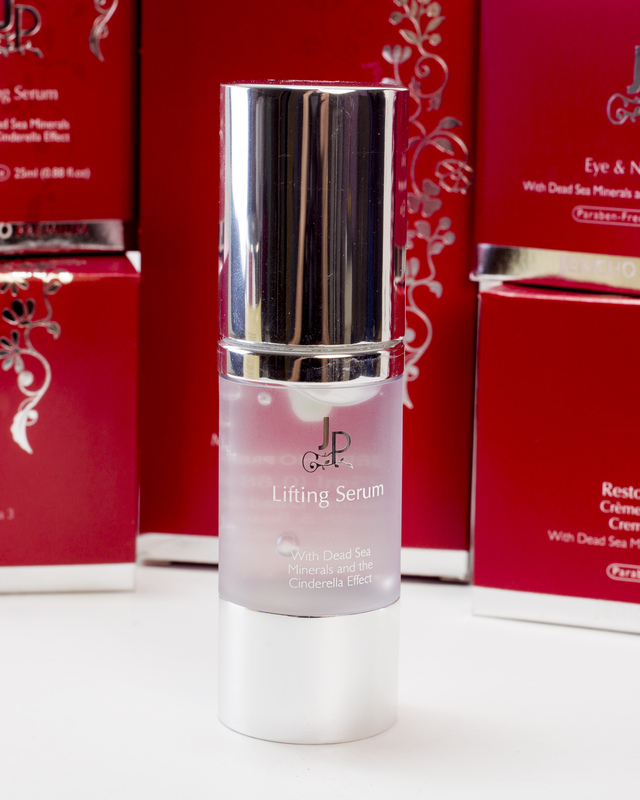 Let us know what you think about this anti-aging serum with sass. We love opinions! Fantastic!! Would you providing prices in your posts? You can visit faceandbodyshoppe.com for pricing on all of your favorite products. Thanks! The Product sounds amazing especially since it produces such quick results. Thanks for the information. I will try it. Thanks…we hope you love it!